Known as the Gateway to Rocky Mountain National Park, Estes Park Colorado offers the visitor a unique opportunity to experience a lovely mountain community surrounded by forests and outdoor activities. Why should I visit Estes Park Colorado? Estes Park is a town in the Rockies, along the Big Thompson River and the popular entrance point to Rocky Mountain National Park. This summer resort community is a friendly and historic spot to stop and enjoy the sights and sounds of north-central Colorado. Where is Estes Park Colorado? Estes Park is right on the eastern edge of Rocky Mountain National Park on Highway 36. It’s easy to reach from Denver by taking Interstate 25 north to Colorado Highway 66, turning west to US Highway 36 west to the town of Estes Park. 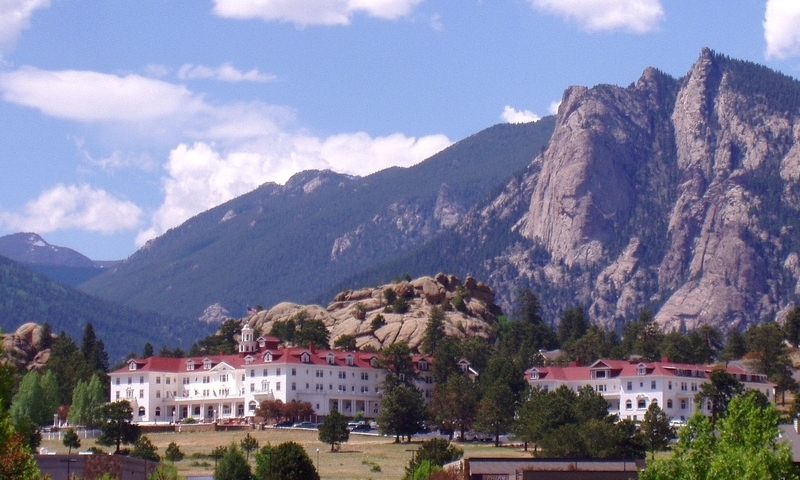 What sort of Services and Amenities does Estes Park Colorado offer? There are a number of lodging options in Estes Park, everything from cabins, lodges and standard motels and hotels to quaint bed and breakfast inns and rental condos. Finding a place to eat is easy, and you can get the cuisine you desire. A wide variety of dining establishments will be sure to have a spot to suit your appetite. Choose a restaurant with international fare or a café with old-fashioned hamburger meals. It’s up to you and what you want to eat! What can I do or see in Estes Park Colorado? Visit this lovely historic hotel to see how Stephen King got his inspiration for his novel, The Shining. This 1909 building is a treat to tour, and be sure to bring your camera. Trail Ridge Road is the highest continuous highway in America, and travels from Estes Park west through Rocky Mountain National Park. There are many places to stop and take in the spectacular views. With so many water sports to enjoy on Lake Estes, you’ll want to make this a top item on your Rocky Mountain itinerary. You can bike around the lake, go out on a boat or paddle a canoe. A cycling adventure may be just what you need when you visit Estes Park. A lovely backcountry ride will allow you to experience the Rockies in a very special up-close way. Travel to the summit of Prospect Mountain on the tram, stay for a while at the top to marvel at the sights. It’s a time of wonder and inspiration when you come to Estes Park.